Originally published on Jun 27, 2016. Updated May 25, 2018. Even borrowers well-versed in hard money loans often still harbor questions about securing this type of financing. For the novice, these inquiries can become near-insurmountable challenges, and for good reason. Hard money loans may seem tempting, with their relatively lax underwriting requirements and quick approval, but can easily kill a business if not pursued correctly. Truly understanding hard money loans requires more than a rudimentary introduction. Borrowers must comprehend their suitability for particular financial situations, and both the positive and negative aspects of their usage. Borrowers must also recognize that not every lender is the same, and neither are their respective lending scenarios. What is hard money and how can it be used? Hard money refers to capital available outside of traditional lending channels, such as banks and credit unions. A hard money loan is a loan secured by real estate. This type of loan is often used by real estate investors to quickly acquire the capital needed to purchase, refinance or renovate a property. The investor can even use the hard money loan as a bridge until they secure more conventional financing, or to later sell the property in order to pay off accumulated debt. Hard money is also unique for its relatively relaxed underwriting standards, quick turnarounds, and for considering the value and equity of a property rather than the creditworthiness of the borrower in the underwriting process. Hard money lenders are also not subject to the same regulations that apply to traditional financial institutions, so the proceeds can be used for a wider variety of purposes without any limitations. What is a hard money lender and where do funds for hard money loans come from? Usually, hard money lenders are private groups with capital available for loans within certain geographic areas and under certain defined underwriting criteria such as a reasonable loan to value and defined exit strategy. The mortgage broker can be responsible for bringing the parties together to settle on terms and compiling loan documentation. Other times the mortgage broker simply makes an introduction to a lender and then the borrower and lender complete the process between themselves. Hard money loan investors are usually private groups and individuals seeking better returns than traditional investment vehicles. Some investors might even be institutional groups that are looking for a more competitive, yet more actively managed return. How are hard money lenders different from a bank? A hard money lender will be able to approve and fund a loan faster than a traditional bank, and will not require as much documentation. Approval and funding from a hard money lender can be completed within a week, whereas a loan from a bank can take at least 30 to 45 days. Hard money lenders are primarily concerned with the value of the real estate that will serve as collateral for the loan, and the loan-to-value ratio, while the banks focus on the borrower’s credit rating and income. Banks and other institutional investors are also subject to capital requirement and reporting rules, such as Basel III and Dodd-Frank, which increase compliance and servicing costs that private lenders are not subject to. Lastly hard money lenders do not require tax returns to prove the income a property is generating. This can be a large obstacle to borrowers who seek bank financing that have not shown all their properties income on a tax return. Will a hard money lender provide funding for every type of property? Hard money lenders will not fund every type of deal. For example, most hard money lenders may not fund owner-occupied hard money loans for residential properties, since they are more regulated by the government and will require additional paperwork and requirements. Many hard money lenders will also not fund these properties since federal regulations require borrowers to meet a debt-to-income ratio for all loans made on owner-occupied residential properties. On the other hand, lenders will entertain deals for owner-occupied commercial properties, and even for raw land earmarked for development, given the comparable lack of regulation. Even lenders who specialize in a particular geographic region might not look at every deal. Louis Regina, principal at Regina Capital, a Connecticut-based direct hard money lender, for example, says that for his firm, the location of the property matters as much as the type of property in question as an important underwriting variable. “Investing in these deals is an art form. We only enter into a deal when there is an exit strategy in place, usually a sale." Junior liens and second positions are also other potential scenarios that hard money lenders will typically not entertain. The possibility of being subordinated puts an investor’s capital at great risk in this situation. Since every situation and lender is different, borrowers are advised to consult with their financial or tax advisor to ensure that their deal makes sense, and whether the borrower can even pay back the loan. Regina adds that the structure of the deal matters, too. Do you own real estate and are looking for capital? A hard money loan may be your best option. Hard money loans have easier underwriting standards, considering the value and equity of a property rather than the creditworthiness of the borrower, and can be funded faster than a traditional loan, usually within five to 10 days. What are some of the benefits of pursuing and using a hard money loan? The hard money loan application process is quick and easy. If approved, the loan can be funded very quickly, usually within five to 10 days, as opposed to the traditional underwriting process, which may take weeks, if not months, if approved at all. A hard money loan can even enhance an existing purchase offer. Hard money financing is considered a stronger offer by the seller compared to conventional bank financing alone. The strength of an offer coupled with cash from a hard money loan may allow the potential buyer to negotiate a better purchase price. Hard money loans also allow borrowers with less than stellar credit to obtain financing. Even if the borrower has issues, such as a low credit score, insufficient income, short sales, foreclosures, or even bankruptcy, they still have access to capital. 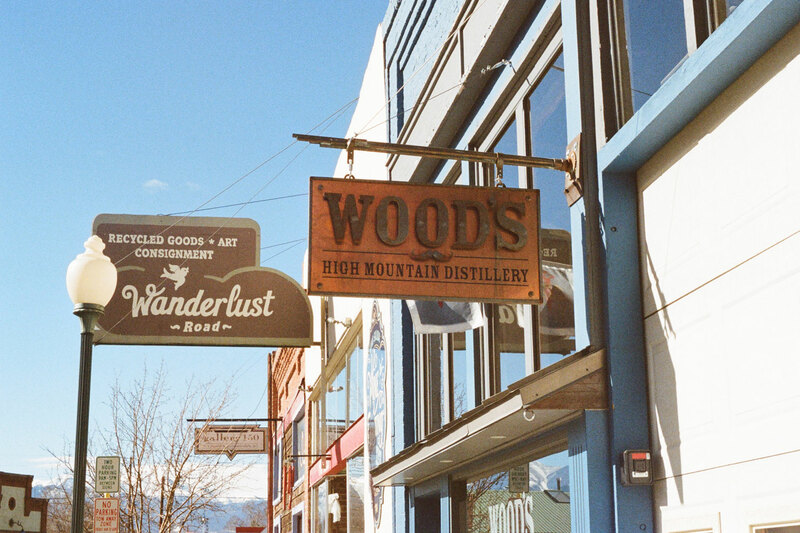 For businesses or commercial property owners, hard money loans have the capability to ensure liquidity, or even complement additional financing. For example, a borrower can use a hard money loan to pull equity out of an existing property in order to reinvest this capital for purchases or renovations. Especially for opportunistic investors who want to move fast but do not have the necessary liquidity, a hard money loan can help act almost like a bridge loan—interim financing that sets the stage for a future round of financing in the future. What are some of the disadvantages of pursuing and using a hard money loan? Interest rates on hard money loans are typically higher than conventional loans. Since the duration of the loan is typically shorter, the cost of the money being loaned out will consequently be higher. Hard money loans also charge more in “points,” or pre-paid interest, due to the shorter duration, which also makes these loans costlier. A loan that has points above the interest rate may be costlier up front, but will carry less interest charges over time. Hard money borrowers must have a significant stake in the deal. Most hard money lenders require 25 percent or more equity in the deal. Since the loan is being based on the equity of the property itself, lenders will require that borrowers have skin in the game. Hard money loans are typically short-term durations, generally up to three to five years. Should the borrower suffer a financial setback along the way, the ability to repay the loan and the financial health of the borrower comes into question. As hard money lenders themselves are relatively unregulated, borrowers run the chance that they might work with fraudulent parties. Coming across a list of local lenders does not necessarily ensure working with legitimate lenders. Hard money lenders can be found through local resources, such as tax professionals, or through real estate investor meetings. Asking trusted people in the community will yield a recommendation for a reputable hard money lender. What documentation is required for a hard money loan? Hard money loans require less documentation than traditional financing. The main documents needed for a hard money loan is the application (also called a 1003 for residential properties; commercial properties have their own similar proprietary form that varies, according to the lender), a note on the property (if one exists), and a deed of trust. Depending on the lender, additional documentation may be required. This may include a personal guarantee between the borrower and lender, tax returns, pay stubs, and bank statements to show that the borrower has the necessary capital and assets to put into the deal. An example given from Adam Fountain, managing director of Seattle-based direct hard money lender Broadmark Capital, details the requirements that his firm demands on every hard money deal. The “stuff” Fountain is referring to is the required documentation that borrowers must be prepared to show for any deal. Requests for information may be asked of the borrower personally, and for that of the collateral for the loan. For instance, Broadmark will ask for personal guarantees and conduct deals on first positions only with a maximum 65 percent loan-to-value (LTV) ratio, and maximum loan duration of 12 months. Broadmark’s utilization of personal guarantees is an example of an underwriting variable that differs according to every lender. “In the hard money world, the collateral info is more important, but the borrower info is still valuable,” continues Fountain. Information about the property in question is to be expected on any hard money loan. Several important documents, including an appraisal on the property, a title commitment (or how the property will be collateralized by the borrower), and a commitment from the insurance provider on the property, are among these. A contract for either purchasing or renovation of the property in question is a must for any loan package, along with a financial statement, photos of the collateral property, and an independent inspection report for the collateral property. How does one get a hard money loan? After contacting a hard money lender, the prospective borrower must complete a loan application with their personal information and information about the subject property. The hard money lender will quickly review this information and determine if the loan is feasible. The credit of the borrower is of some importance, but the most important factor is the loan-to-value on the property. The subject property will then be appraised to ensure the property valuation is in the proper range. Once this is all completed, the hard money lender will move forward in processing the loan and funding can be delivered in a matter of days. 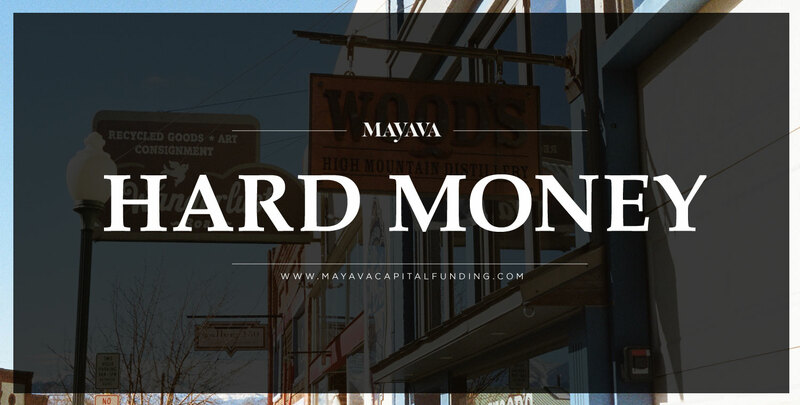 You can apply for a hard money loan though the Mayava network here. How do hard money lenders differ? Hard money loan lenders can vary as much as borrowers vary. While some lenders may focus on local areas, others may work nationwide. And while some lenders may only choose to work with residential properties, others will choose to work with commercial properties, and some may work with both. Some hard money lenders even differ in that their lending criteria might allow them to work with “unconventional” scenarios, such as owner-occupied properties or loan amounts that are either higher or lower than usual. Hard money lenders also vary in the fees and expenses that they assess. Some charge fees for preparing documents or points for origination, while others may work with a higher loan-to-value number, or even with a junior subordinated position, such as a second mortgage. For any deals involving construction or renovation, some lenders may have a provision for setting aside a budget within the deal. Conducting research on both the type of lender and their lending criteria is essential to a positive experience. By understanding the capabilities (and tastes) of each lender, borrowers will be able to find better rates and will ultimately save money. Can hard money loans come with prepayment penalties? That depends. A hard money loan may or may not have a prepayment penalty, depending on the lender and the specific scenario. When inquiring with a lender, a borrower should ask a lender upfront what the prepayment penalty will be, if any. What happens if the borrower doesn’t pay off the hard money loan? When a borrower defaults on a hard money loan, the borrower can be foreclosed upon and may lose the property or properties which they used as collateral. Hard money lenders typically try to avoid foreclosure if they can, since the lender would much rather prefer to be paid back in full for the balance of the loan. When a borrower does not make payment, the lender will reach out to the borrower and attempt to stave off foreclosure. Hard money lenders typically try to avoid foreclosure if they can, since the lender would much rather prefer to be paid back in full for the balance of the loan. Make no mistake, foreclosure should be the last thing both borrower and lender desire, due to the costs in both time and money to both parties, not to mention the possibility that the borrower may lose the property. “Foreclosure is not an exit strategy,” says Regina. How are hard money lenders regulated? Hard money lenders are regulated by their state Bureau of Real Estate, or by their Department of Financial Services. Each state has its own guidelines that regulate hard money lenders although, generally, hard money lenders must have a member of their company who holds a Real Estate Broker License. Transactions that occur across state lines fall under the jurisdiction of both states involved and are subject to each state’s respective regulations. Although a securities license is usually not required for hard money lending, one may be required if a loan is being syndicated and shopped around to multiple investors. What are some red flags to be on the lookout for when seeking a hard money loan? Potential borrowers should be on the lookout for several red flags when pursuing a hard money loan. Ben Stoodley, loan originator at Lantzman Lending, a California-based direct hard money lender, mentions that although both borrower and lender alike share some similar due diligence requirements, each party must take appropriate steps pertinent to their respective circumstances. One big red flag, he says, is a lender asking for upfront fees. Stoodley adds that some fees charged by hard money lenders may or may not truly be legitimate. “On average, there are anywhere from $1,500 to $3,000 dollars in bogus fees contained within a hard money loan,” he says. What's the best way borrowers can avoid misinformation? Besides a full disclosure of fees and conditions with any loan, Stoodley advises potential borrowers to stay in contact the old-fashioned way. Many hard money professionals lament that many brokers identify as direct lenders when in actuality they are not. As a result, many hard money deals are hampered by misinformation or outright deception. What is the best course of action for my hard money loan? The truth is that there is no best “one-size-fits-all” approach in the hard money loan world. Closely examining lenders, understanding terms and conditions, evaluating the need for funding and prudent use of capital are steps that borrowers can take to protect themselves. Additionally, borrowers should be asking the right questions, both of themselves and their potential lender, concerning any lending scenario, and a lender should be asking questions about a borrower’s financial condition, in kind. Due diligence must be exercised by both borrower and lender, every step of the way. With so much at stake and little room for error, this simple, yet vitally important rule should be the first followed. Your company needs financing, but research and due diligence puts your personal information at risk. The more options you consider, the more vulnerable you become. All lenders want to run your credit and access your personal information. Do not let them. Let Mayava find you the best rate available, safely and quickly without putting you and your company at risk.